Moving is just the worst. Everything in your home gets turned upside down, furniture must be disassembled and reassembled, and on top of it all you have to memorize a whole new address. The horror! Though it’s destined to be an unpleasant experience at best, there are a few ways to make the whole process slightly less annoying. Start packing early. This will be a challenge if you’re the kind of person who always started writing your term papers at 10 pm the night before they were due, but it is crucial if you want to maintain your sanity. 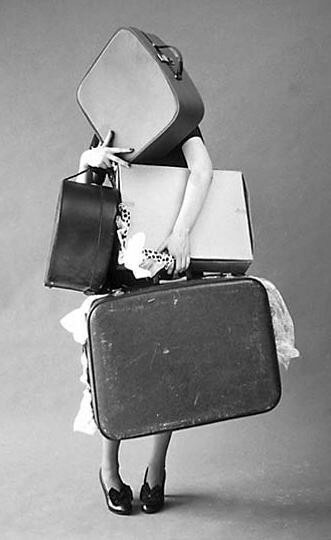 I started packing almost a month in advance of my moving date – way before I had even lined up a new place to live! As a result I’ve been staring at a monstrous wall of boxes for what seems like an eternity now, but it’s comforting to know I won’t be pulling an all-nighter to get it done. Be strategic. 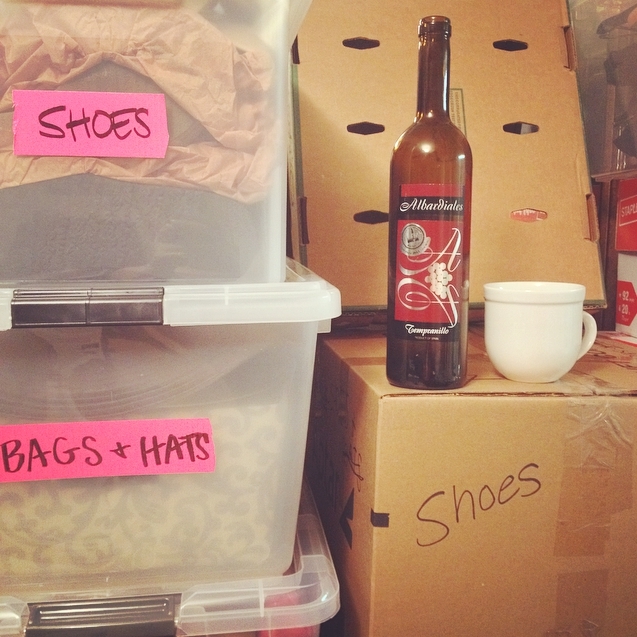 In my mind there are two approaches: organizing your boxes by origin of contents, or by destination of contents. Unless you’re moving into a new place with exactly the same floor plan and closet sizes as your current home, chances are your stuff will end up in new configurations and different areas of the house. There’s a third approach in which you don’t organize anything and just throw all of your belongings into any open box, but you will be filled with bitter regret when it’s time to unpack. I also find it helpful to number all my boxes and keep notes about what’s in each one. Stay energized. Keep your spirits high with upbeat music, frequent dance breaks, tasty snacks and caffeinated beverages. And plenty of wine, obviously. Hey, it just makes sense to polish off any spare bottles before you move, right? I may have packed all my wine glasses already, but I’m not letting that stand in my way. Measure everything. Unless you’re moving long-distance and planning to start fresh with all new pieces, it’s a good idea to measure both your furniture and your new space as early as possible. You may think eyeballing it is good enough, but trust me, you’ll be distraught if it turns out your beloved sofa is too large for the new living room. Use wardrobe boxes. You guys. Do you know about wardrobe boxes? They are one of the greatest inventions of modern times. With just two wardrobe boxes, I was able to pack all the clothes in my walk-in closet in about 15 minutes. And they make unpacking laughably easy. I can’t believe I ever suffered through a move without them. Avoid the heavy lifting. If your budget can possibly allow it, hire professional movers, at least to haul your bulkiest items. Many moving companies offer surprisingly affordable hourly rates, and it’s 1000% worth it to spare yourself the time, sweat, and hassle on moving day. Plus, you’ll successfully avoid this situation. I’m moving to the new place this Saturday, and at this point I’m just excited for it to be over. Have you moved recently? Share your tips in the comments! Am I forgetting anything vital? What are your must-haves for a weekend at the beach?